In August, it is rather wet and with downpours in Mexico. Generally this is the middle of the hurricane season. In the north, it is hot, the central region of Mexico is rainy and warm and on the coastal areas, it is relatively hot and humid. You may find rain but the temperature is calm due to the nice breeze from the coast. 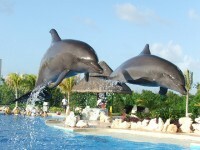 Acapulco is about 25­ªC to 31ªC, Cancun could be from 23ªC up to 32ªC. 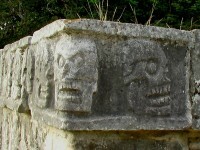 Cozumel is also the same but up to 31ªC. Mexico City goes as cool as 13ªC up to only 23ªC. Puerto Vallarta ranges from 24ªC to 32ªC. Despite the season being wet, you still can explore various Mexican cities and experience the International Chamber Music Festival. It usually starts from end of July until 17th of August. This event features many local artists as well as award-winning ensembles other than the guest musicians. 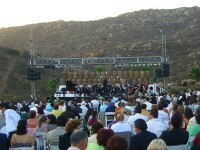 In Esenada in Baja California, there is a Valle de Guadalupe Wine Festival. This is where you get to taste the best wine, good food and enjoy the concerts live. Then if you proceed to the town of Huamantla from 5th August to 20th August, there is a Huamantla Fair which is rather like a festival dedicated to Virgin Mary. You will observe that there are many decorations with flower petals and tapestries. It is a religious celebration with cattle exhibitions, cockfights, concerts and large market where food stands are all around. 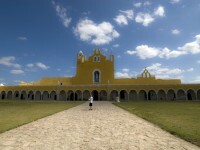 The last few days in the August month from 28 til the 31st is when Las Morismas de Bracho is celebrated in Zacatecas. This event is when you see reenactments of the battle between Moors and Christians. The other city of Puebla is celebrating for the whole month of August the Mexican national dish chiles en nogada, a chosen best recipe gets a prize. In Guadalajara, the Mariachi Festival from Auguest 28 til September 7 is about mariachi music appreciation and be it on the streets or in venues allocated, you can find many performances all over the city. Chiles as the name implies, it represents the purest patriotism of the Mexicans and their national spirit is tied to this national dish. It was name from the Spanish word nogal which means walnut tree. Shredded meat with fruits, spices and aromatics are the toppings to a walnut based cream sauce. This sauce is called nogada. The red in this dish is the pomegranate seeds and it makes up the Mexican flag colours of red, green and white. 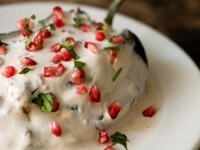 Green is the green chilli used in this traditional dish which used to entertain the emperor Agustin de Iturbide.